In Vernon, it feels like our student population is either staying close to home for school or commuting to what feels like a lifetime away. As an active part of the community, we want to make this stressful time of year just a little bit easier on our students. Don’t let shopping for your next car be a hassle; have fun with the team at Vernon Toyota. Here’s how to get the best deal around. When students or recent grads come into our dealership, they’re often buying their first or second car and haven’t yet had time to build up their credit score. Being new to the world of credit isn’t an issue at Vernon Toyota. In fact, we’re able to get you into a car loan and provide a plan to help you build your credit score. In addition to our finance expertise, Toyota also offers a Toyota Canada Graduate Rebate Program. The deals are always rotating, but you’ll often find perks like no payments for 90 days, and lower rates than you’ll find elsewhere. We also offer up to $750 in rebates on select Toyota vehicles. Contact us for more information. Right now, during the Toyota Factory Event, you can save big leasing and financing new Toyota vehicles. For example, you can lease the Corolla CE from $45/week for 60 months. We always aim to price our vehicles fairly and competitively. We have no hidden fees: you’ll see all pricing details clearly in our pricing structure online and our expert sales team would be happy to answer any questions that you may have. If you’re looking to save even more, we also offer a selection of used vehicles from all makes and models, as well as a lineup of Toyota Certified Used Vehicles. 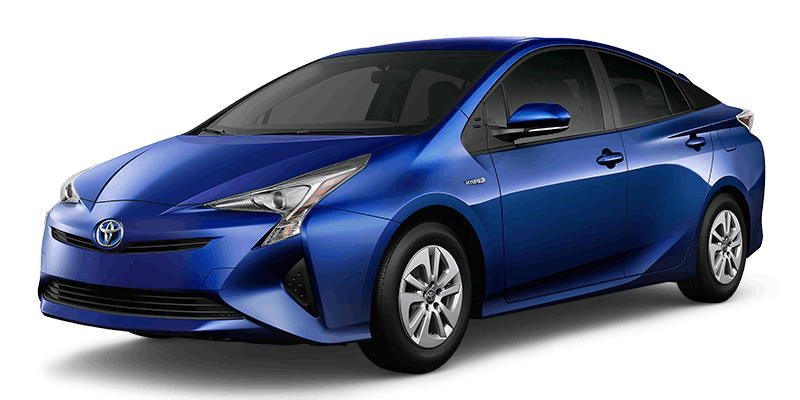 Besides being the original and coolest hybrid on the block, the Prius is a great way to save money. On top of being great for the environment, needing and using less fuel will help you save at the pumps. Find your Prius here at Vernon Toyota. With truly amazing discounts and lease prices right now, there’s no better time to get into the popular Corolla. This vehicle won the 2018 IIHS Top Safety Pick for Highway Safety in the Small Cars segment. It’s also a Kelley Blue Book retained value award winner, which means if you upgrade in a few years, you’ll find better resale value than you would on other models. Those are just a few! We also have a great selection of trucks and SUVs that are built to last and also have won retained value awards. Check out our new and used inventory today.